Our vibrant Art Deco downtown, eclectic shopping venues, surrounding malls and retail outlets offer visitors a wide selection of stores to find that perfect reminder of your trip to Kalamazoo or even a gift for the folks back home. Over 100 retailers including Ann Taylor Loft, Banana Republic, Chico’s, Coldwater Creek, GUESS and more. Tuscan style food court with antique carousel. Over 160 retailers featuring eclectic shops, one-of-a-kind restaurants, brewpubs and more. 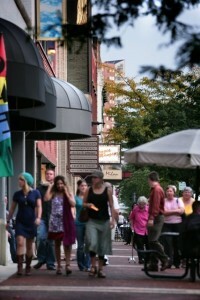 The Radisson Shops – located in the Radisoon Plaza Hotel and Suites in downtown Kalamazoo. Three specialty retail shops. 269.343.3333. If you love browsing for antiques, you’ll love Kalamazoo! Click here for a list of area antique stores.